On Feb 7th, 2017, VTM News reported that many electronic devices such as laptops hit the second-hand market whilst still full of confidential data. Erasing – or removing – hard drives clearly isn’t part of the default procedures. Even when it comes to a large organization such as the Federal Government of Belgium. Organizations can have the best security policy, compliance tools, and processes but if a device contains any confidential information locally, there is always a risk. A particular risk that is actually easy to contain simply by removing or securely wiping hard disks. The risk of losing a device or getting it stolen is also very real. As we discussed in another blog post, there is a laptop stolen every 53 seconds. And in this case, data confidentiality requires more strict security measures. At Awingu, we close this gap. Users get access to documents and applications via a secured browser connection. There is no local data on the device. Nothing that can get stolen, nor forgotten to be removed. 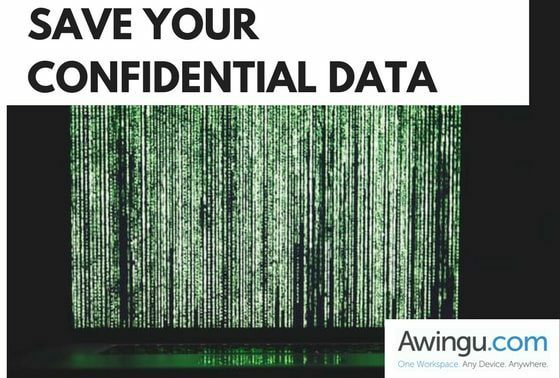 On top, Awingu offers deep auditing with a full insight of which user has opened what application at what point in time. Want to find out more about Awingu? Reach out to us! Source: De Standaard, see the full article here.